Two bedroom home recently renovated. New carpets and freshly painted! Garage is converted to workshop or storage area. Must have renters insurance and subject to credit report. RENT - 2- OWN, NO CREDIT CHECK NEEDED!! DO NOT WAIT FOR THE BANK, GET YOUR DRAM HOME NOW! LET YOUR DOWN PAYMENT BE YOUR CREDIT! Beautiful all brick rambler just minuets from DC/Metro area with TONS of upgrades. All new flooring, paint, doors, roof, gutters, water heater and more!! This 9.5 acre lot would be great for gardening, hunting, hiking, 4 wheeling or dirt biking!A percolation test was attempted many years ago without success. Build your dream home on two acres of tranquility that are tucked among mature trees with a natural stream running along the back of the property. Land has been perced for building. Shed on property is constructed of pressure treated lumber, is in excellent condition and conveys with the land. Great commercial property. Two septics on property. Access to public water. Great building lot within a decent commute to Metro DC. The building site is cleared and level, but backs to trees. Sand mound septic system is required. HOA and Covenants and Restrictions apply. Come build your dream home in this beautiful community of Moss Creek! Great building site within a decent commute to Metro DC. The building site is level and cleared but backs to trees. 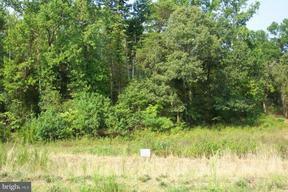 Sand mound septic system is required. HOA, covenants and restrictions apply. Come build your home in this beautiful community of Moss Creek! Location, Location, Location. 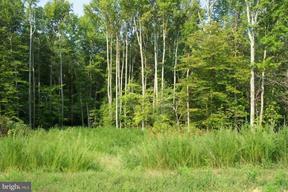 This secluded 10 acre parcel is only 10 minutes from the beltway and has a nice balance of woods and open acreage. Beautiful, private, peaceful. Build your Dream Home on this Beautiful 5 acre Open Space Parcel, previously Perc approved but buyer needs to confirm validity. No HOA! Electricity and Septic exist.